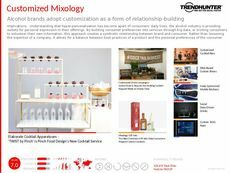 Find Better Ideas, Faster ® with a custom alcohol trend report, our PRO Dashboard and 80+ categories of premium trend reports. 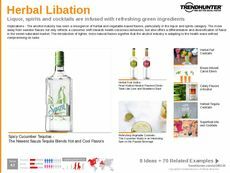 Trend Hunter’s Alcohol Research dives into the world of wine, beer and spirits as it pertains to branding, flavor and overall innovation. 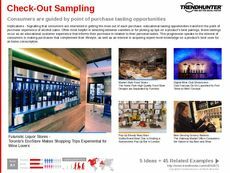 Whether brands are seeking to investigate the trends taking place in bars and nightclubs, or they want to see which flavors are appealing to various demographics, our research can supply the necessary information. Our customized reports and presentations are designed to display meaningful content that will help brands better anticipate the needs and desires of their consumers. 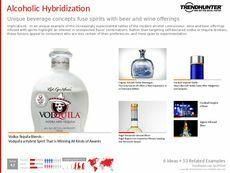 Our Alcohol Research will benefit brands that currently create and distribute beverages, as well as marketing teams and brand managers. Our insights are compiled from crowdsourced research, which ensures that brands are gaining the most authentic information that will help them build and retain consumer loyalty. 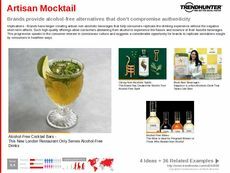 Alcohol is a rapidly evolving category, and with tens of thousands of articles published on the subject, Trend Hunter can provide your team with custom reports, presentations and insights to help you track and beat out your competitors in the sector. 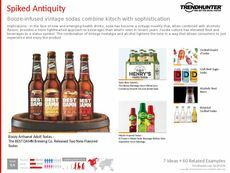 Trend Hunter’s has worked with many leaders in the space, including ABInBev, MolsonCoors and Labatt, and are here to help your team gain invaluable insight into the world of beverage.